Providing educational opportunities through workshops in a FEMALE ONLY environment. This offers women a chance to gain knowledge, share information and seek clarification on the topic matter. It is an opportunity to up-skill female coaches of many ages and develop the learning skills needed to coach a young tennis player. By energizing females and giving women opportunities for continual improvement. 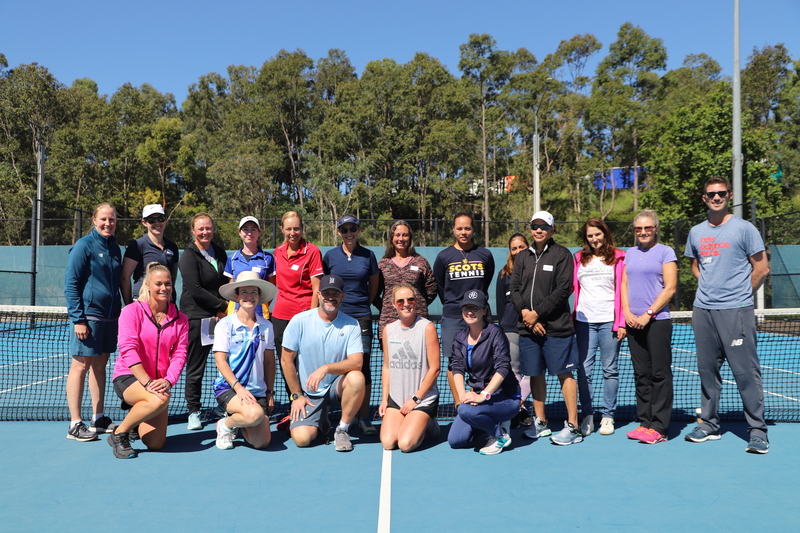 The program empowers women to challenge the traditional structure of tennis coaching ans take on a number of roles. Women can be the best person for the job and we are encouraging them to take the next step by taking on these opportunities when they arise. By building a cohesive group, we are providing a platform for women to make connections with like-minded professionals and create a positive impact on the industry by sharing ideas, information and collaborating on special projects. Applicants must be aged 16 or older and forward the Tennis Australia coach screening documents along with their application. Applicants aged 18+ are required to have a National Police Check in addition to a current NSW Working with Children Check.